Fantasy as a genre is a titan in literature, all encompassing and with multiple manifestations. Fans have encountered sword & sorcery, epic fantasy, historical fantasy, urban fantasy, paranormal thrillers and romances. I for one always classify novels into some degree of fantasy if even one detail strays away from the pattern of logic and reality. Paulo Coelho is known for writing books about life, the type of titles that hit hard topics and problems, we have to face every day. However his approach is always directed towards spirituality and among one of his techniques is the involvement of mysticism. Paulo Coelho writes of alchemy, visions in dreams and ancient traditions and every tale he writes staggers the mind with truths about life and complicated themes taken directly from life and developed into brilliance. That is why I classify his work mostly as philosophical fantasy, because it makes you think, increase your sensitivity towards different nuances of life or simply broaden your horizons by a centimeter or two. 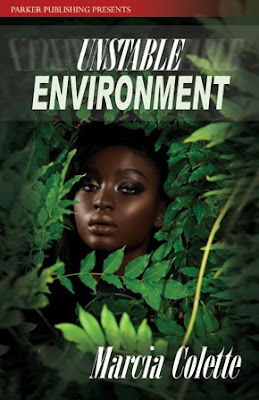 Utilizing the veil of the unknown, paranormal, magical Coelho pierces the veil of the human mind and soul and always gets to the point what his characters think they want and they need; only to realize that later. “Brida”, although I thought was a new title, is a reprint from 1990 and centers around Brida, a young Irish girl, who is determined to become a witch and since then experiments with different traditions to achieve her goal. I have always been interested about the etymology of names and seeing how everything in Coelho’s books means something, I searched the web for any meaning of the name Brida. As it turns out Brida is a long winded transformation from the Irish Brighid, a name borne by a popular Irish goddess of wisdom. Written in third person point of view the novel shifts between four characters: Brida; her teacher in the tradition of the sun, mostly referred to as the Magus; her teacher in the tradition of the moon, Wicca and Brida’s lover, a clever physicist assistant named Lawrence. As every chapter brings a different point of view, the reader is left to put together a puzzle from the past and present relationships of the characters during Brida’s search for wisdom. Solving it brings an understanding of the two biggest themes involved, search for wisdom and search for love, which happen to be interconnected in the novel as well as in real life, since love is one of the most unexplainable forces that guides humanity. “Brida” has a heavy accent on fantasy elements, mostly the magical traditions and their tools. The fact that Brida’s teacher is named after a neo-pagan religion with roots into ancient polytheistic rituals with affiliation towards nature, says it all. In the book we witness the power of the Dark Night; the Tarot cards, which relate visions; time travel to a past life and prayers to the spirits of forests and other places of nature. However the strength of the novel does not fall on the fantasy. “Brida” isn’t extraordinary, because the heroine could hop through time and hear voices in her head. These happenings are only a font, on which Brida gathers wisdom and finds her bridge between the real world and the one unseen, thus learning more about herself and soul after every page. Another interesting point in the novel is the blend between the Pagan and Christianity. Paulo Coelho uses the mutual point of high spirituality, common in both religions to merge them into some kind of unity. The Magus teaches Brida to prey with her soul to the higher force above. Wicca uses Virgin Mary in her prayers as well and urges Brida to read the Bible in order to find what her own spiritual gift is. Parallel to Brida’s spiritual growth, the reader notices another motif develop and here comes love again. I am not sure how Coelho thought it to work and interpreting authors is always a very subjective. Different people find a different truth for themselves. For me “Brida” teaches one thing about love and namely, it’s a force no one can control, understand or harness despite all the wisdom on Earth. In this world a lover can find his soul mate by a small dot of light hovering above their lovers left shoulder. This is the rule in order to find your true love. The Magus and Brida are destined to love each other, because they are parts of one bigger soul. However when Brida learns to see the dot over the Magus shoulder she knows Lawrence is the man of her life, despite the lack of dot. Even though Brida is the embodiment for the people searching for answers in the ether and Lawrence being the embodiment of the people searching for answers in matter and science, their bond breaks the rules of the world for love. 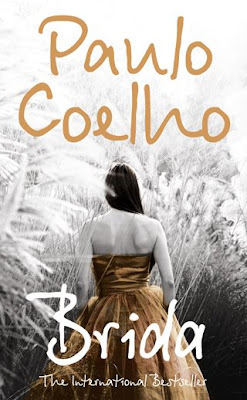 As a conclusion there is this one thing that I need to mention and that is how Coelho writes. “Brida” stands at 250 pages, at least the Bulgarian translated version, and pushes all the right buttons and meets all criteria for a perfect story. It’s simply enchanting how Coelho uses the simplest of words to relate his more philosophical take on the quest for love, wisdom, spirituality and whether the world we see is all there is to reality and life. I originally envisioned nine books--three trilogies each centered around a different theme. The first trilogy is now complete, concerning Cassie becoming Pythia. The second one begins with Curse the Dawn, out in April 2009. How many books there will end up being, however, I can’t say. That depends on how many it takes to tell the complete story. As the traditional finishing touch of "Interrogate the Author" I have included Karen's site: Take a Chance or as I like to call it: Spooky Castle. There a very inviting demon will welcome you with open arms to Dante's. Among shapeshifter literature the werewolves have been proclaimed as platinum superstars since the very beginning for their popularity in medieval lore as being cursed and torn between humanity and primal instincts. However demands in literature want a fresh angle, something fresh and a tad different. It’s high time cats take their spot in the limelight and Marcia Collette sides in her novel “Unstable Environment” with a new breed: werecheetahs. Sinclair Duval’s life could never be defined as easy. With an alcoholic sister, Sinclair has sacrificed her career as a pilot to be a surrogate mother to her niece Nahla. Due to an accident in the amusement park “The Jungle Kingdom” Sinclair and Nahla are in a critical condition. The Triangle Coalition of werecheetahs, owners of the park, wants to cover up the whole mess to avoid publicity. Rio Velasquez, the healer for the Triangle Coalition, is called, but the only way to save Nahla is to turn her into a werecheetah herself. And so Sinclair is dragged into the world of shapeshifters and stuck in the middle of a conflict between the Triangle and Charlotte Coalitions. Nahla’s turning however is more complicated than anticipated since no one has ever turned a human so young. Back in the reality Sinclair has to prove herself as a better parent than Mina, her sister, avoid social services, nosy doctors and the police, all the while fearing that she might lose Nahla. Amidst all of this the chemistry between Sinclair and Rio is undeniable. “Unstable Environment” is written in third person, the focus being mainly on Sinclair and Rio. Collette has defied the usual formula for a title in the paranormal romance or urban fantasy for that matter. For starters Sinclair unlike many other heroines in the same genres is a pilot and has nothing to do with law enforcement. Further on, again unlike most heroines Sinclair has no supernatural powers, heritage or skills for survival and has to learn to play the game, the hard way. Her best quality is the endurance of her mind and spirit during her clash with a whole new world, which is represented more as a horror show than something wondrous and enchanting. Speaking of character design, Collette does something else altogether. 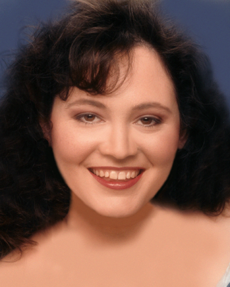 The majority of heroines are fair, while Collette makes Sinclair Afro American. Yes, to some people that may be superficial, but the Afro American community has a specific mentality, way of talking and acting, subculture if you will and if that is too strong for people then a nuance of difference that can make a character truly unique. Since in literature that is the point to make a character a living individual in a reader’s mind and individuals are unique. 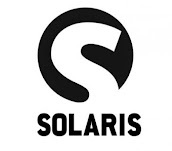 Sinclair’s marital status is also interesting, she is a single mother-aunt figure and that is also not commonly used. The accent falls on the scorn of a mother figure and her strength in enduring the worst for the sake of her child. Plus children are usually left out in such dramatic scenes and plots, so this is also something new. Another plus is the connection between the real world and the fantastical introduced into the novel. Sometimes authors put too much work into world building and their plots are sucked and focused primarily on the supernatural, when these genres should use the mundane to contrast to the fantastical and power it up. Collette does exactly this by throwing serious problems we deal in our life like having abusive and self-destructive relatives, doing one’s best to raise a child and interact with the police. However the novel feels underdeveloped, hard to get into because of that and understand fully the author’s intentions. 250 pages for such a dynamic concept don’t contribute as much and act against it. The novel reads too fast and it’s too dense. Main issue is the transition between Sinclair’s and Rio’s point of view. The shift happens somewhere between paragraphs and it occurs indistinguishably. There were times I felt lost about who was telling the story. The lack of length also leaves the characters underdeveloped as well. Not to mention how much tension is lost due to the same issue. 100 extra pages could have contributed nicely to digging deeper in the characters, follow how their relationship is born and grows from physical to emotional and indestructible. “Unstable Environment” is a wonderful novel in its own right and it had promise, but a standard length for the titles in this genre (circa 350 – 400) would have improved the overall effect on the reader and increase the enjoyment from the experience. Around the blogosphere people encounter posts about books reviewers couldn’t finish at all, couldn’t get into at all or almost could have burned them. All of this leading to negative reviews. Now I am somewhere halfway to this predicament. 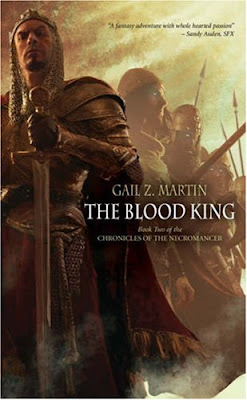 “The Blood King”, the second installment in the Necromancer Chronicles by Gail Z. Martin, left me with controversial perceptions in spite of my efforts to enjoy the concepts I have been eager to see developed in the genre. “The Blood King” follows the cast from “The Necromancer” in their preparations and obstacles along their mission to prevent the rise of the Obsidian King, which equals the Christian apocalypse. Martris Drake has limited time before the Hawthorne Moon to rediscover the lessons in magic taught by his grandmother and prevent the Obsidian King from rising. In order to show himself worthy he is to pass numerous tests provided by the Sisterhood, which decided to drop neutrality. However nothing goes smoothly or according to plan since Foor Arontala has infiltrated the Sisterhood, the Blood Council and Principality Court. Traps and assassinations ensue, but those don’t deter the heroes from building a resistance from inside Margolan and gather allies from the living, dead and undead. As promised by Martin, “The Blood King” picks up the pace dramatically in comparison with “The Necromancer”. Scenery and situations change from page to page and involve monster infested rivers, rescue missions in enemy territory, magical warfare and sieges, ambushes, spells gone wrong, boat villages and a brothel. Each hurdle brings a new piece of the world such as the new breed of enemy soldiers deprived of their humanity and turned into berserk killing machines; the elemental spirits used as an offensive weapon; the history of the Blood Council, the organization in charge of the vayash moru. So far the influence of sword & sorcery is very heavy, but Martin pulls a great world building feat with explanations and celebrations of the Godess’ aspects in geographical terms. Among all of this abundance the readers are offered the background stories of Ban Soterius and Carroway the Bard, who so far have been away from the limelight. So where is the problem, if everything is great? And my answer is the characters, the number of characters involved in the story to be correct. From my interaction with avid readers, reviewers and authors so far, the majority of readers pay attention to characters. And fabrication of people from scratch with their background, beliefs, faults, regrets, virtues and talents is a responsible and difficult task. As far as my experience goes, most books I have read went for smaller roisters. Martin on the other hand features a core cast of nine major characters and a number of around twenty something minor or episodic characters. Although there is nothing wrong with this, the ladder has been lifted higher and the possibilities to go wrong are greater than with a smaller cast. Juggling view points, telling a story involving a lot of participants and at the same breathing in these characters life is hard to coordinate and in my opinion deserve a lot more pages. The idea behind The Necromancer Chronicles is to create illustrate a story so grand, unseen and out of proportion in the traditional fantasy genre. However the results are rather less impressive. Martin doesn’t want to leave any character unexplored and amidst all this switching from viewpoint to viewpoint I feel like only the surface has been scratched, when so much more can be extracted from the initial idea. The changes, growth and evolution that should seep in with time in their actions have to be pointed out during the dynamics of the story. The same goes to their past. I enjoy, when clues of who they were and what they conceal, are placed along the way. Something space didn’t allow. It’s a real shame, because Martin has much to offer with her project. However I understand the need to fit into a number of novels, set by her contract. Otherwise I would have loved to see her ideas develop into a massive saga in great details on everything. So yes, now you understand , why I feel clueless on how to label the novel. For me it was a bittersweet, controversial experience. Top 10 Sexiest Vampires + More! The unstoppable writing machine Richelle Mead knows how to entertain her fans and still manage to make them think, spoil them and have a laugh. This is demonstrated through her newest contest. Go and take a look. Stacia Kane has no shame into showing edited scenes, which haven’t been polished to perfection. 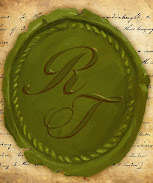 If you have no clue how a novel is doing in the middle stages, then make a stop. So far she is up to installment SIX. Last but not least, newly contracted by none other but Miriam Kriss herself, the urban fantasy dream maker, Karen Mahoney has landed her first professional writing gig with a short story feautured in the new “Mammoth Book of Paranormal Romance”. 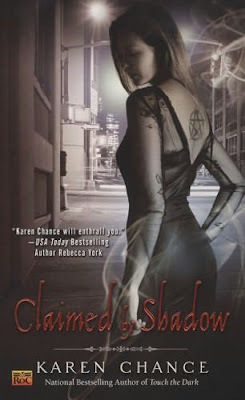 “Claimed by Shadow” by Karen Chance is by far one of the strongest titles in the urban fantasy genre or perhaps the paranormal romance. I didn’t quite catch how people labeled the Cassandra Palmer series. To include a synopsis for a novel, whose pace threatens to break the sound barrier, is a bit of a challenge. The innocent 374 pages long novel manages to pull off a marathon through all kinds of hellish situations and sceneries such as Las Vegas casino under siege, magical tattoo parlor, 19th century England and a different realm. 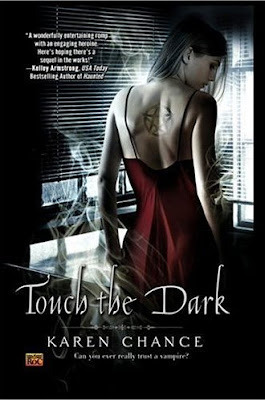 “Touch the Dark”, first installment in the series, left Cassandra on the hunt for Antonio, the vampire, who raised her in his court. Unfortunately she is on the run from the American Vampire Senate itself; the Circle (mages organization) and Rasputin, who has coupled with the homicidal and careerist clairvoyant Myra. In between maneuvering around these fractions to stay alive and get the information she needs, Cassandra has to deal with the power of the Pythia, which acts on its own sending her back through time. On her list are included dealing with her ghost in a necklace Billy, convincing bounty hunter mage Pritkin she is not evil and babysitting ancient Greek demigods. I personally don’t mind dynamics and diversity in sense of speedy changes in situations, introductions of new characters, ideas, magic and mythology. However the tricky thing to vacuum so much action in one book no matter the length is that it can backfire. My main issue was that I couldn’t quite follow the line of thought after I have paused for the day. There is too much happening to remember it all, no matter how thrilling and ingenious it was. The next problem appears actually getting tired from reading. Cassandra Palmer goes through several days on the run and around the middle, when another monster decides to attack her, I really started asking myself how is it plausible for Cassandra to physically operate. Good thing Karen Chance caught on the same issue as well and knocked her out along the way, while Cassandra admitted that her body was not functioning properly. But getting around those problems is easy and beyond that we see the greatness of Chance’s work. The angle I enjoyed most so far has been the constant exposure to the paranormal world and every page brings a new creature, spell or myth to the pile. Every author can do it, true, but Chance adds her own flavor to what she includes from the world culture. I particularly enjoyed her portrayal of the incubus, which doesn’t actually own a body of its own, but has to possess a human body with natural charms. Then again come my favorites for this book, the Graeae – the three old women with one eye and tooth shared between themselves in Greek mythology, who protected Medusa’s island. Quite the cast of celebrities also airs in this novel starting with Rasputin, Vlad Dracula, Bram Stoker and a hint that perhaps Merlin will make an appearance in next installments. 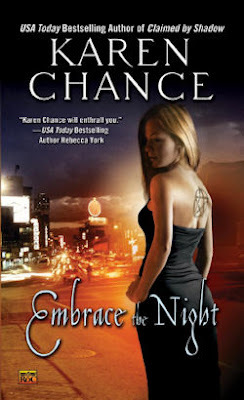 Karen Chance has gathered the best from Greek, Norse mythologies, the stories told during the Middle Ages and even modern myths. Cassandra has her hands on an arsenal of weapons, which catch the reader’s attention and leave him/her imagining what the possibilities for mass destruction might be. I know I have. The spotlight however is taken by the Pythia’s power, the most potent clairvoyant gift. As it happens the gift chooses its next inline initiate and Cassandra happens to be it. I am thrilled with what Chance has done with such a passive power such as clairvoyance, giving it importance, hiercharchy, which dates back to the Delphi oracles. All in all, you won’t make a mistake with this series and every book gets better and better. This reviewer was a very happy camper with this novel in his hands.